its trade, commerce and practices connected there with mainly in private sector. good relations amongst sugar mills, cane growers, distributors & other dealers. generate steam to run the boilers and turbines; they generate power to run their plants. During 2000 onwards it was felt by rural industrialist and large sugarcane growing farmers to enter this sector through Private entity to overcome short comings and deficiencies in cooperative setup. 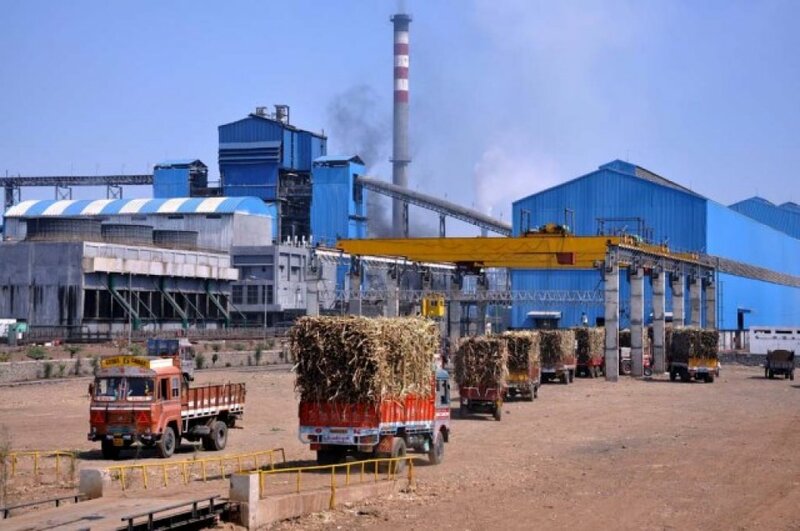 The Government of India also had given sugar sector delicensing in 1998 and globalization openings made in roads for sugar industry private establishments. WISMA PUNE Executive Committee President Shri. B. B. Thombare Greets Hon’ble Shri. Sharadchandra ji Pawar MP on Monday, 21/01/2019 Evening at 6, Janpath Road, New Delhi- 110001 for Sugar Industry meeting with him. From left S/Shri. Ranjeet Mulay, Mahesh Deshmukh, Yogesh Patil and Rohit Pawar. 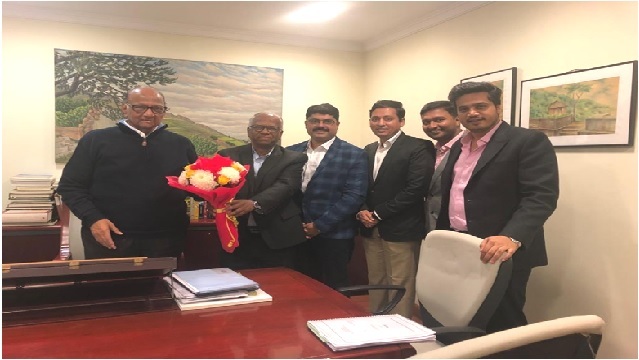 WEST INDIAN SUGAR MILLS ASSCOIATION (NGO ) PUNE EXECUTIVE COMMITTEE MEMBERS Meet Hon’ble Shri. 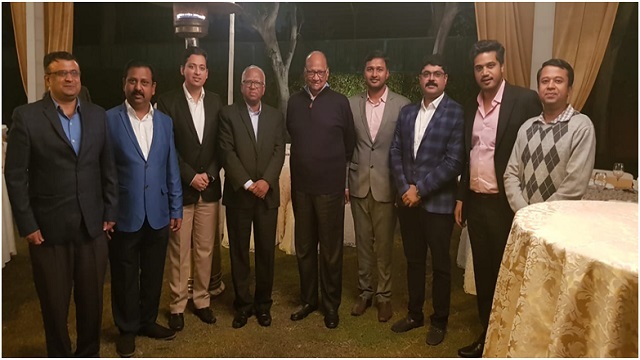 Sharadchandra ji Pawar MP at 6, Janpath Road, New Delhi- 110001 on Monday, 21/01/2019 Evening and discuss Sugar Industry important issues and way forward for Sugar Export and Sugar Minimum Selling Price ! From left S/S. Avinash Jadhav, Madhavrao Ghatge, Mahesh Deshmukh, B. B. Thombare, Sharadchandra ji Pawar, Yogesh Patil, Ranjeet Mulay, Rohit Pawar and Harshal Thombare !